There is almost nothing better than entering a home that immediately appeals to your olfactory senses. Therefore, one of my favorite ways to accessorize my apartment is with some quality scented candles. I prefer the woody natural scents, especially sandalwood or cedar wood. 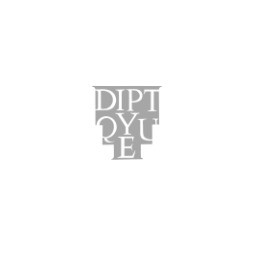 The Diptyque line from Paris is awesome and offers a wide range of well crafted scents, although my favorite is Santal. Izola also offers a beautiful selection of woodsy scents that are displayed in a colored green glass. No matter what your preferred scent, appealing to your olfactory senses is a great way to unwind and relax. What are some of your favorite scents? I love women’s fashion inspired by classically tailored menswear pieces. That’s why last fall, I was so thrilled to see designers translating the classic men’s smoking slipper (a la Hugh Hefner meets Annie Hall) into women’s lines. The slipper can be both luxurious and leisurely but always classic! In the fall and winter we saw a lot of velvet styles, but now to accommodate warmer weather, we are seeing more leather and soft suede. I picked up a pair in black and white pony hair by Belle by Sigerson Morrison last Fall, but right now I am loving this tangerine pair by DV by Dolce Vita – how perfect for summer! Wallpaper can be a mixed bag. There are some gorgeous designs out there, but most of them, I find, to be a bit overwhelming. Also, wallpaper can be a big commitment which is not always a possibility for some (such as myself, as a renter). There are, however, some more practical options for those that are interested in adding some imagery or pattern here and there, but don’t want to commit to wall papering a whole wall! 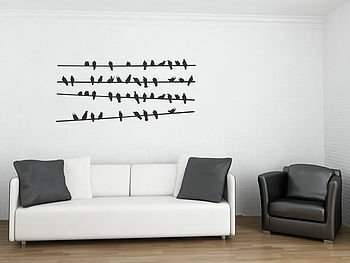 Wall decals are a great way to spice up a wall and usually require little to no installation. They come in a variety of sizes, so you can create a mural or just accentuate the floorboards. Best of all, they are usually removable! My absolute favorite are the wall coverings by Tracy Kendall. I *love* the black and white images that she designs, especially the floral and feathers collections which add just a dose of drama and levity to a room. Walltat, Not On The High Street, and Blik are a few sites to check out which each offer a wide selection of decals. 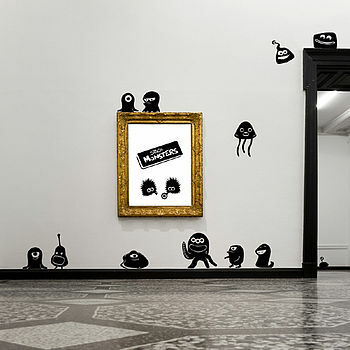 I think these are a particularly great solution for decorating nurseries. They are relatively cheap and you can easily replace them as your child gets older. Plus, there are some of the cutest images for children! In the world of Facebook, Twitter, Pinterest, Tumblr, etc etc, one can get overwhelmed with the availability of different resources. I am constantly discovering new sites, each with some bit of wisdom to share. That being said, when you find a source that is so spot on with your personal style and interests, it can be an invaluable match! If I had to choose one, my match in the digital world would probably be Remodelista. Remodelista is an amazing site which I visit for virtually every design need (defined very loosely, of course). To me, it really encapsulates all that is simple and modern and minimalistic. I have always thought that one’s environment should compliment the style and personality of the people who live in it, and this is reflected in everything that Remodelista does. I wanted to share this great video that reminds me to find beauty in even the normal and mundane and inspires me to incorporate sustainable practices when doing so. Yesterday brought some exciting and long awaited news concerning one of my favorite brands…. Club Monaco finally entered the world of online shopping! Club Monaco falls somewhere along the lines of J. Crew / Madewell, but in my opinion it tends to incorporate more on trend shapes into their clothing. As I generally prefer online shopping, this was very welcome news. Until recently, Club Monaco and Zara were both holding out against offering online shopping, which was very irritating. However, Zara finally jumped on the bandwagon last year and now Club Monaco is doing the same! To make it even better, Club Monaco is collaborating with a few other brands to offer some of their items on the website, including Rachel Comey shoes, which I think need a new home in my closet . DCers: Check out Urban Turf, a great guide for DC real estate and be sure to like Urban Turf’s Facebook page for a chance to win $500 to your choice at either Room & Board (my choice! ), Miss Pixies, Good Wood, or CB2. I am already thinking of what 500 babies could get me! Good luck…. and may the odds be ever in your favor! As a child, I distinctly remember weekly trips to the bookstore. I was always so excited to pick out a new book to explore every week. Before my days as a Nancy Drew fanatic, some of the first books I fell in love with were Shel Silverstein’s A Light in the Attic and Where the Sidewalk Ends. I read the poems over and over. The simple sketches totally won me over. I had so much fun exploring those books and really credit them with fueling a life long passion of reading. A couple of my favorite books to share with kids (or adults) today would be Marcel the Shell with Shoes On and Wildwood. Wildwood is a fairy tale adventure featuring strikingly beautiful artwork and is probably tailored to the junior high level, while Marcel the Shell, which stars an adorably witty Marcel, is appropriate for younger children. Also, check out Maxwell’s (from Apartment Therapy) list of favorite children’s books. What were your favorite books to explore as a child? Craigslist is a great marketplace to score local finds. However, just like any resale marketplace or thrift store, it takes time and patience to find the best stuff. This unfortunately means that busy people do not always get to take advantage of everything it can offer. Since I myself often do not have time to parse through all the crap to find the gems, I frequently refer to a few sources that do the searching for me! Apartment Therapy (one of my main go to sources for virtually everything) posts the Eastern Daily Scavenger which is a roundup of the best items posted on Craigslist. I try to check it out a few times a week for any good inventory. 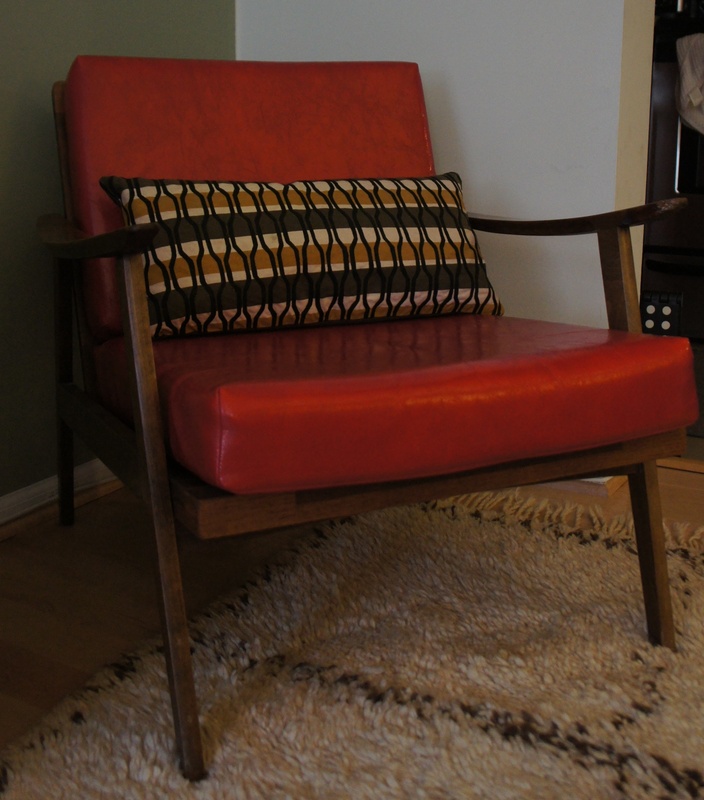 One of the best scores I have ever found is this amazing mid-century Danish chair. I had to have the frame reinforced, but it is still one of my favorite pieces. Another great resource is the DC specific blog called Listed District, created by a local graphic designer who highlights some of the best offerings throughout DC. Hunting sites like these are becoming more common, so no matter where you live, try to find resources that will take some of the leg work out of the search!